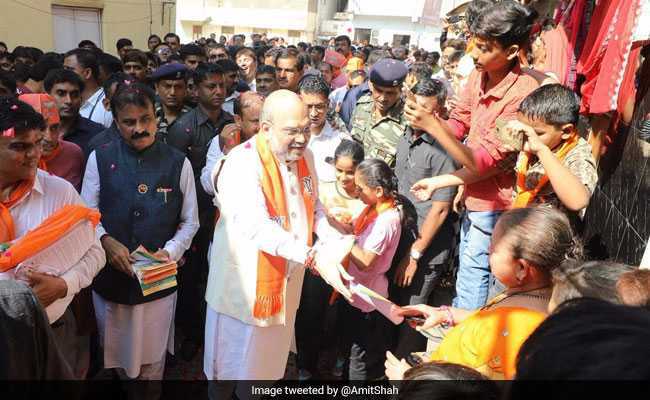 With the Congress aggressively wooing the Patel vote bank, Gujarat's ruling BJP is likely to focus on winning over the Other Backward Classes (OBCs) ahead of next month's elections in the state, say party leaders. Ahmedabad: With the Congress aggressively wooing the Patel vote bank, Gujarat's ruling BJP is likely to focus on winning over the Other Backward Classes (OBCs) ahead of next month's elections in the state, say party leaders. OBCs have been given 27 per cent reservation in Gujarat. The BJP has rejected the demand that Patels be included in the OBC list and has tried to pacify the community by offering reservation for the economically backward among the upper castes. "Of course in the past wherever it was necessary we have given tickets to OBC candidates and we will give it this time also," Mr Bhavsar said. According to political analyst Achyut Yagnik, the BJP's political move is obvious as it is likely to face erosion of part of the Patel vote bank. "The main castes included in the OBCs are pastoralist communities, fishermen communities, small farmers or landless labourers. Traditionally, they were supporters of Congress," Mr Yagnik said, adding that in the last few years BJP has tried to make inroads in these communities. The BJP, he said, will give more tickets to OBCs in these elections to ensure that most of these communities rally behind the party. "Their target could be to woo communities like Kolis, Thakors and other numerically strong OBC communities to negate the effect of the shift of the Patel vote bank," he said. Mr Yagnik also said the Patidars will not entirely tilt towards the Congress. The Patidars, he said, had been supporting BJP since 1985 in Gujarat and will not move en-mass towards the Congress. There will be a split, he said. "It is possible that even two members of a family can vote for BJP while two others will vote for Congress," he said.